Totally forgot, stereo front facing speakers in exchange for the bezels. Ha I've just seen it.. I'll have a look. Bezels don't look as bad as I thought, maybe my friend had the first gen. I'm wrong again, It's for the Google Pixel 2 phones. Is it an unlocked phone? £49.99 Upfront + £21.99 for 500MB, 500 Mins and Unlimited Texts for each month. The 100GB is added to the whole plan for 24 months, can be used whenever and not 100GB for each month. £100 cheaper at John Lewis though! The announcement of the Oneplus 7 has got them rattled. Been looking at it and the refresh deal is very slightly more expensive for my usage but is probably better in that you aren't tied down for the two years if you did want to leave. If you actually stuck with the O2 refresh airtime tarif for two years then the it's a lot more expensive than this mobiles.co.uk deal. Is the o2 refresh deal any better mate. Not too sure but was interested in a pixel myself. stock picture it pulled? I'll sort it! Probably not worth it of you are happy with the form factor and battery life of your 2XL. No doubt the 3 has better screen, haptics, wireless charging and that wide angle selfie camera on the front. Aside from that it's hard to see a major difference, depends how much you value those things. I do wonder what condition it would arrive in Mrswitch mentioned before that Grade B is better than it sounds ! What are opinions on this vs pixel 2 XL? Just wait for brand new deal tomorrow for a few pounds more. There will be one, I guarantee it. Had a B grade pixel xl come from them this week, screen fine, back of it wow, looked like it had been stamped on and attacked with a screwdriver. Never miss a 'Google Pixel' deal again! Personally I think the phone should have launched at this price. Flagship phone prices are getting ridiculous. I have one plus five now, but thinking to upgrade to Pixel, nothing but good reviews, top notch phone! I grabbed this deal last week. I previously had a Honor View 10 which I really liked and was planning on keeping for the next couple of years. I saw this deal and due to the sub £500 price point thought I'd make the jump mainly due to the camera. The first few days I was questioning my decision, mainly due to the battery life. The View 10 was a beast in that department and I would rarely go a day with less than 50 percent. The Pixel was poor in comparison. However, it does seem to be improving after a few tweaks and I'm now happy with my choice. It's very smooth to use, I've experienced no memory, fingerprint or Bluetooth issues and the camera has lived up to the hype. 3 years of updates are guaranteed so with that in the bank I'm planning on keeping the Pixel 3 for a good while. It's a very impressive phone and this deal is well worth consideration. Haven't got 3rd gen, did it on nearly all apps, one by one, just to be sure - even though many hadn't been opened in a long time, wanted to be sure none was draining battery. Because OnePlus (or Oppo, rather) make a good product and control their own market. They’re very much like Apple in this regard. OnePlus devices all hold their value very well, far better than any other android device. I could still get £450 for my 5 month old 6T. Wait for the 7, it’s out in a month. You mean a software win. Pixel hardware is extremely average at best. They use software processing to make it seem better than it is. Side note, iPhone has all the power and hardware but even on iOS 12 there are stutters and slowdowns everywhere. It’s such an archaic operating system. Depends which OS you prefer. Hardware is a Pixel win all day long if you like taking photos. Night Sight FTW. Guys let's not fight. Its, us (Android users) versus IOS users. Android FTW. 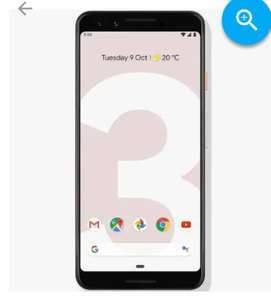 Most people considering the Pixel 3 will be looking for a pure Android One type experience and will likely value the quality of the software/updates over raw hardware specs. As such the Pocophone would be a rather poor choice! Almost did - was about to buy a One Plus 6. Got the Mrs one but price increased on Amazon so decided to wait and while I was waiting got the Note 9 on a price match &amp; cashback deal £599 from £850. Too good to refuse. Depends what eco system you are in. If your looking for a pixel get a pixel 2 XL tbh. But if your wanting iOS, definitely iPhone 7. Just better made product and not outdated design like the pixel 1. It says EE - what's the score with using other networks? Blows it out the water, still. How does this camera hold up to something like the Nokia 7 Plus? That's a good deal for EE - shame it's only for new contracts. Their upgrades for this handset are ridiculously expensive. Yeah, it's seems the £5 upfront is no longer available, now £75. Yes I’ve just encountered that, isn’t Wazzap great! I’ve had some real battles with getting apps installed and updated, tried every route I found online and in the end, enabling web and app activity temporarily, seemed to get it working again. S*** sorry bud, just saw this, you wouldn't have been disappointed either way. I'd be interested in how the performance is after popping in a new battery? Can you get genuine ones or would they be generic? Out of stock ..no luck ! That's going to be a huge leap in camera! erm... how does a screenshot show anything? £10 a month extra for another 2GB according to the other pixel thread . Does anyone know if it's possible to upgrade the data allowance once on contract with Voda, and how much? Check your Vodafone account and contract. Mine came with an additional £1 a month Vodafone Secure Net extra that's free for 3 months. You can cancel it through the online account. Also. Not sure if its "hot" enough for its own deal but I just noticed an oddity on the mobiles.co.uk website regarding the 128gb version. On Vodafone contracts like this one you have to add £110 to the upfront cost to upgrade but on o2 contracts its "only" £50. I've just gone for the o2 10gb £31pm with £50 upfront (£25 TCB) offer which I'm happy with for the 128gb version and a decent amount of data. Remember the days when adding 64gb memory only cost the price of a memory card though? A great looking smartphone to rival the dominance of Apple's iPhone 7, the Google Pixel is an extremely advanced gadget that's been designed for ease of use. The 12.3 MP camera is one of the best available, whilst the software is state of the art, providing an Android experience that's far smoother than on other devices. It's also available in a larger version, the Google Pixel XL. However, this is a premium product and as such is priced at the high end of the market. Google is best known as a search engine, but they have also developed numerous forms of software for the tech industry and online services. In October 2016, they announced the launch of a new line of products, this included the Pixel C tablet and the first phone manufactured by Google, the Pixel. Although they had partnered with companies before to bring their Android operating system to mobile devices, most notably with the Google Nexus, this represented the first bringing together of a handset and software, both designed by the company. As a very new smartphone, the Pixel is currently available in just two versions, the Pixel at 5 inches and the Pixel XL at 5.5 inches. Both have been developed to maximise the potential of Google's Android software, using 4GB of RAM and the high-performance Snapdragon 821 processor to make it one of the fastest handsets on the market. Forget random slowdowns and odd glitches, because this phone has been optimised to run smoothly when opening up apps, scrolling through web pages and gaming. Why Choose the Google Pixel? Google created their first in-house smartphone as a genuine rival to top-end devices from the likes of Apple and Samsung. They've packed in many desirable features that the others don't offer and created a customisable handset that really looks the part. The meeting of refined software and hardware produces a device that for many will be worth the hefty price tag. Like many smartphones, the Pixel is made from elements of metal and glass. The rear is slightly tapered and just below the camera lens is a finger sensor encased in a glossy glass panel. Naturally, both materials attract finger prints and the glass aspect will scratch over time. To overcome this issue, Google have a diverse range of Pixel cases. 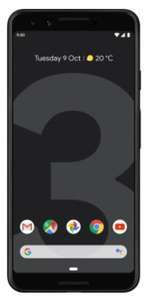 The Pixel offers five features in particular which mark it out from other smartphones at a similar level, these are the built-in AI, Google Assist, the extremely adaptable camera, the generous free unlimited storage, an improved battery and a greater performance from the Snapdragon 821 quad core processor. When devices are as loaded with tech as modern smartphones are, the power source will always be a major factor in how they perform. These are thirsty gadgets which drain battery life fast and don't leave people with a lot of usage at the end of the day. The iPhone 7 lasts around six hours if in constant use and takes an average of 90 minutes to charge fully. However, Google have shaken these accepted standards up with the Pixel, offering a similar battery life of around 7 hours when in use, but super-fast charging that can take the phone back to 100% within 40 minutes. Nevertheless, some people will be disappointed that such a cutting-edge gadget does not support wireless charging. Google Assist is a refreshed version of their previous AI, Google Now. Just like Apple's Siri and Windows' Cortana, it is capable of chatting to a user and providing information based on the type of questions asked. Say 'Which supermarkets are near me?' and it will let you know, request further details and you'll be presented with a map. However, unlike its rivals, Google Assist has the edge when it comes to conversation because it can be used alongside the Google Allo messaging feature, so you can chat to your phone as you refine a search. The more you use Assist to organise your life, the more it learns about your preferences and habits, eventually becoming able to provide bespoke answers. The Qualcomm 821 chipset will be launched along with the Pixel phone, bumping up the processing speed and improving game play hugely. The chipset will also enable downloads of up to 600 Mbps, which aren't even possible in the UK right now, but at least you can be sure of attaining the 80 Mbps that is our current maximum. Anyone who buys a Pixel phone from Google will enjoy unlimited drive storage for every video and photo they take, even if these are rendered in high resolution. However, the Pixel doesn't have an SD or microSD slot, or any other form of expandable memory. The Pixel's 12.3MP camera packs furthermore a visual punch. Photographs have a great depth of vision and even shots taken in low light produce excellent results. If you are thinking of replacing your current smartphone and you need a high-performance handset, then the Google Pixel could be an excellent choice. It works perfectly well in general use, for calling, texting and browsing, but will especially suit people who enjoy playing games, streaming content and taking lots of videos and photos. 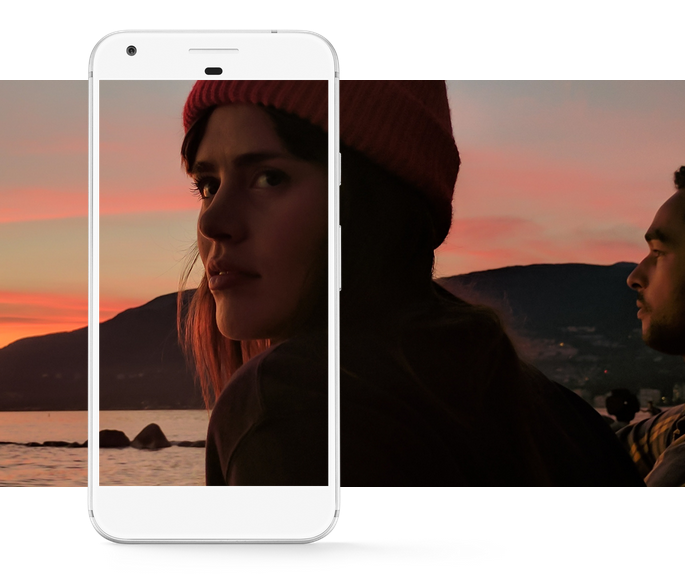 In terms of internal storage, the Pixel comes in two different sizes, 32GB or 128GB. If you plan to upload or store lots of media, other than your own photos and videos, then the larger option is definitely better. The Android OS itself takes up a significant amount of space and the remaining storage could quickly be overtaken with apps and other data. In the UK, the Pixel is available in two quirkily named colours; Very Silver and Quite Black. However, you can add colourful cases, cases featuring maps of your favourite places, photo cases and plainer designs for a more business-like look. The internal storage is either 32GB or 128GB. Daydream View: The Daydream View is a highly accessible VR headset which is simple to use with most Android phones and is reasonably priced. It comes in red, white, or grey, and includes a controller to make the experience feel more immersive. You just download the related content, and then place your Pixel phone into the back slot to begin. Chromecast Ultra: Chromecast Ultra is a fast streaming device which enables you to stream content to your TV over a Wi-Fi network. It works in conjunction with the Pixel, or another smart device, and is plugged in to the HDMI port on a TV. 1.8m Power Adapter: This 18w adaptor works with USB-C devices to charge at lightning speeds. As it comes complete with a generous 1.8m of cable, you aren't forced to sit next to a socket while you're waiting. What are the Pros and Cons of the Google Pixel? Despite the Pixel's near-perfect performance, there are some factors which could put off potential buyers. Here is a list of the phone's pros and cons. The camera is exceptional and one of the Pixel's key selling points; it's designed to take fantastic shots in a range of lighting conditions and even has video image stabilisation, so shaky hands are never an issue. The Pixel comes with the latest version of Android the Android 7.1 Nougat and it will be the only phone running this software for the foreseeable future. As new updates become available, Google has promised to push these through to Pixel users before it reaches devices created by other companies. The dimensions of the Pixel are pleasant. The phone slims down at the back, making it feel comfortable in the hand. 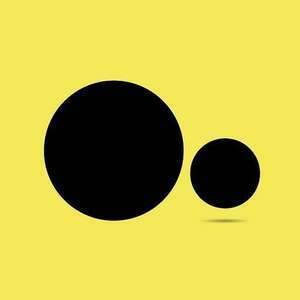 It's also relatively light and doesn't seem too oversized. Fast charge times - according to Google, the Pixel will provide 7 hours of use after a 15-minute charge. The battery performance is certainly better than that of its rivals, especially the iPhone 7. It’s an expensive option. Like every other high-end smart device on the market, the Pixel may be prohibitively expensive for some. The components used in these near faultless gadgets don't come cheap and those costs have to be passed on to the consumer. It doesn’t feature a commonly home button. Unlike most other smartphones, the Pixel has no home button on the bottom of the screen where your thumb sits when you're holding it. A home button on the side could take some time getting used to. 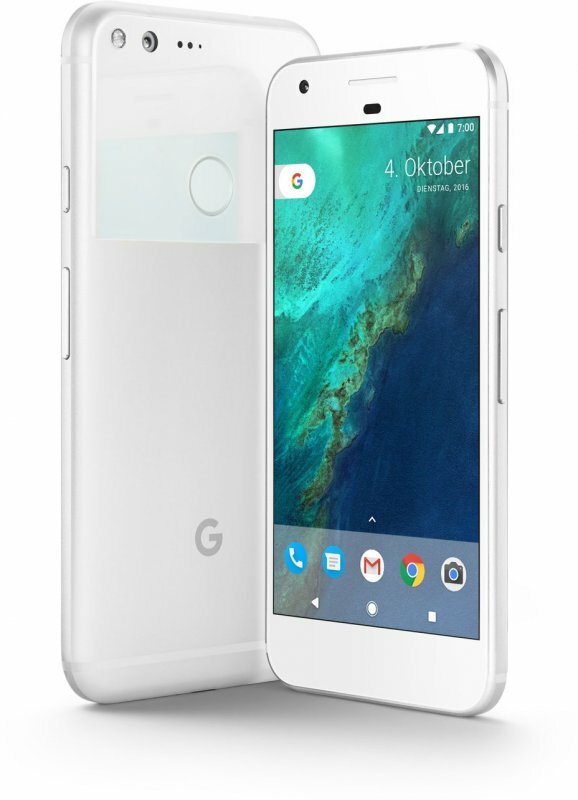 It's to be expected, but the largish glass area on the back of the Pixel is likely to scratch over time unless it is protected by a case. For people who want to show off the streamlined appearance of their state of the art gadget, this may be a little frustrating. Storage options are limited. If you go for the 32GB version of the Pixel, it's likely that a fair percentage of that will be taken up with the phones software and won't be useable. They are proud of their free storage offer, but it's worth bearing in mind that you will also need room for the inevitable software updates, apps and content that you'll want to keep on your phone. The latest version of Android needs 5.3GB of space alone, and the built-in apps, which you are obliged to keep, take up another 1.22GB. With no expandable storage, many users may find themselves having to be picky about what media stays and what should be deleted from their Pixel. Waterproofing is a pretty big issue for many smartphone users who take their gadgets everywhere with them and expect a degree of waterproofing. In fact, the Pixel has an International Protection rating of just 3, meaning it is barely protected against water. Many people have been quick to compare the Pixel with the iPhone 7, whilst there are many similarities in terms of appearance and performance, there are also many key differences which could influence a buying decision. Google Assist and Siri work in a very similar way and both can answer straight forward questions relating to travel, shopping and the weather with great accuracy. However, what sets the Pixel AI apart is its ability to answer follow up queries like; 'Who is the Prime Minister of the UK? Is she married? Where was she born?' This makes Google Assist a more useful tool for many people. Furthermore, although the Android powered device comes complete with a full complement of apps and fun accessories, like the Chromecast Ultra and Daydream View, these can be used with a range of devices. If you prefer to use one single platform which stores all your data, with connected devices like the Apple Watch and iPad tablet to go along with your handset, then the iPhone 7 or it´s 5.5 inch version the iPhone 7 Plus is ideal. What about resolution? - With a Retina screen the iPhone 7 offers an impressive 1,334 x 750 resolution, but the Pixel is designed with 1,080 x 1,920 pixels, the equivalent of Full HD. That's a total of 424 pixels per inch (ppi), compared to 326ppi on the Apple phone. In general, use the difference is virtually imperceptible, but for detailed photographs and an enhanced VR experience, Pixel's extra resolution will make all the difference. The Pixel is available from the Google Play store and many other retailers with an online shop, like Currys or PC World. 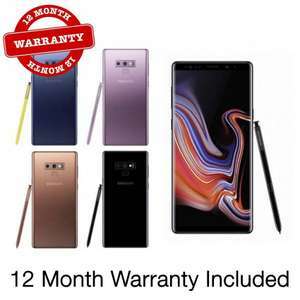 If do not want to buy the handset outright, you can go through a company that will set you up with a monthly contract, like the Carphone Warehouse or EE. Major technology retailers do lower their prices during annual consumer events like Black Friday, Cyber Monday or the Christmas sales, so it is eminently possible that the Pixel will be available at a reduced price around these times. Contract providers also lower their upfront costs and offer cheap upgrades to compete with other sellers during sale periods. If you want to hear about unmissable offers on this smartphone, head over to the Google Pixel HotUKDeals page, where we list all the best bargains as they happen.